The Canetti magnetic frame is made of two thick panels of clear, solid acrylic which are held together by tiny magnet points. The picture is very easily placed between the two panels and is held securely with no additional hardware. The posibilities are limitless. Use the Canetti Magnetic Frame for post cards, photos, letters, greeting cards and more. With the magnetic frame, the picture stands out clearly on its own, without any cumbersome frame around it. This frame can hold two pictures back-to-back. Pictures can be displayed either vertically or horizontally. The Canetti Acrylic Magnet frame are the finest available. 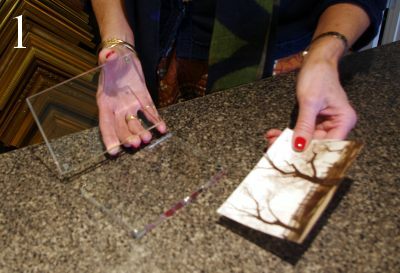 Made of crystal clear acrylic, one inch thick, they display well with any decor and the heavy weight insures that they stay in place and don’t tumble over. Visit one of our three San Francisco locations to see for yourself how beautiful, contemporary and versatile these frames are. Bring your photo, postcard, invitation, greeting card (the possibilities are actually endless) to one of our San Francisco neighborhood shops and we will help you choose the right Canetti Acrylic Magnet Frame to enhance your project. 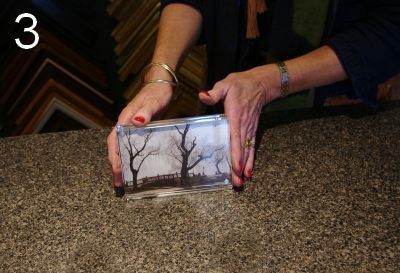 With the right acrylic magnet frame, your art will look its best and impress your family and friends. Can’t make it into one of our San Francisco picture framing shops – give us a buzz at 415.922.6811 and we will gladly ship a Canetti Acrylic Magnet Frame to you. 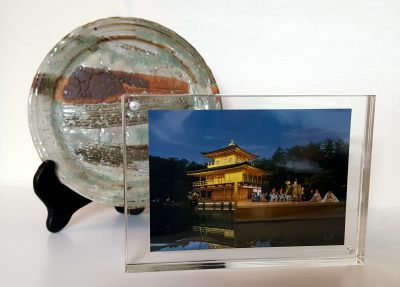 Use Canetti Acrylic Magnet Frames for your memorable travel photos. Now available in 9 rectangular sizes and 4 square sizes! 1″ x 2″ x 5/8″ – NEW! 8.5″ x 11″ x 1.5″ – NEW! Colorful Mouldings: A Bright Design Choice.